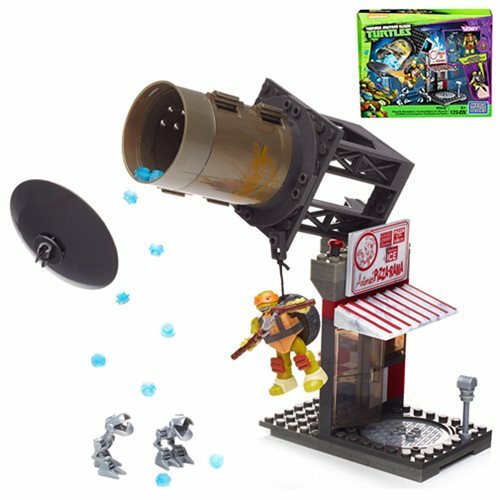 Shopping for Teenage Mutant Ninja Turtles Construction Toys? Get ready to roam the streets of New York with your favorite heroes in a half-shell! This Mega Bloks TMNT New York City Streets Playset Case contains 4 individually packaged playsets. Breakdown:2x Raph Rooftop Blast-Out and 2x Mikey Pizzeria Showdown. Pieces includes ranges from 129 pieces to 134 pieces. Ages 6 and up.